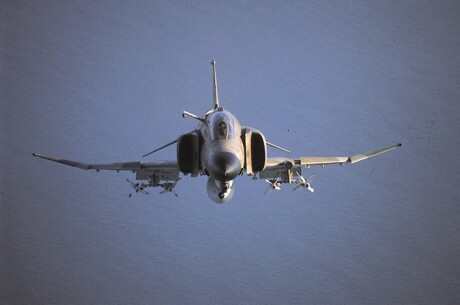 An amazing footage from 41 years ago shows a dogfight between an Israeli Phantom and an Egyptian Mig. 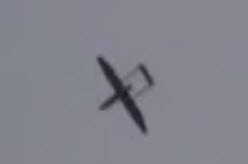 This clip, part of the documentary “Israel: A Home Movie” was filmed by Moshe Shargal who recalls the day when, in 1973, along with his friends, he witnessed a dogfight between an Israeli Air Force F-4 Kurnass (Sledgehammer) and an Egyptian Mig-17 over Ras Muhammad beach, at the southern extreme of the Sinai Peninsula, overlooking the Gulf of Suez, a territory captured by Israel in the Six-Day War in 1967. It was Oct. 6, 1973, the day the hostilities started. Suddenly, a group of Israeli friends who were celebrating the Yom Kippur, the holiest day in Judaism, in the Israeli-occupied territories, saw Mig fighter jets flying into Israel. Twenty minutes later they spotted a Mig-17 again, followed by a Phantom that fired an air-to-air missile that brought down the Egyptian fighter jet. Although bad in quality, the footage is an amazing document of one of the Israeli aerial victories during the Yom Kippur War. In 1973, Israeli Air force (IAF) found itself facing an Arab Air Forces coalition which was composed by Egyptian and Syrian fighter squadrons, but also by units from Algeria, Iraq, Libya and … North Korea, that deployed a MiG-21 squadron to Bir Arida to protect Egypt’s south.